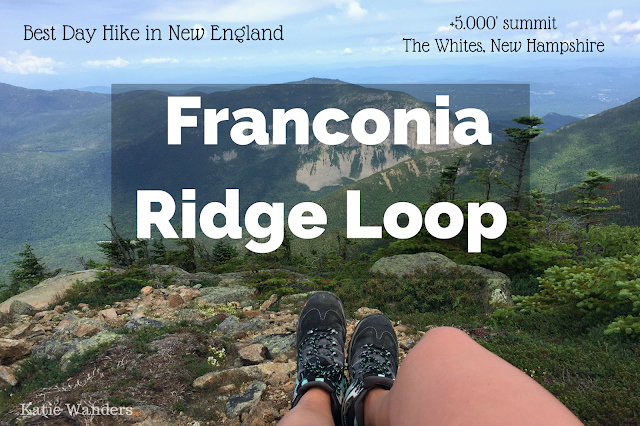 Let me start by saying, this was my first real hike of the 2017 summer season, and my most favorite New England Hike yet. I know, I know its already the end of July and this is my first time in the mountains (shamefully sinks in her chair). But in my defense, New England (hiking) is a little tricky in the summer. If the black flies and mosquitos don't get you, then the humidity surely will. I have never experienced it but from what I hear, hiking June to early July in biting fly season is no joke. Well, turns out, I looked at my calendar and realized I had a free weekend with NOTHING planned. The past few weekends have been insanity with Bachelorette parties and weekends away. I also had a dog who had been sitting around for a few weeks with nothing more than a 3 mile run or a walk around the borough. Crazy dog and stressed out Katie from a few crazy weeks and weekends meant it was time to head to the mountains to do something I genuinely love, one of the best ways I know to destress. Head to the woods, hike, read, relax, and camp. I am sad to say we are nearing the end of the Amanda in New England trip (#AmandaInNewEngland). A lot of our trip was spent exploring some of the Northeast’s best cities, Boston and New York. 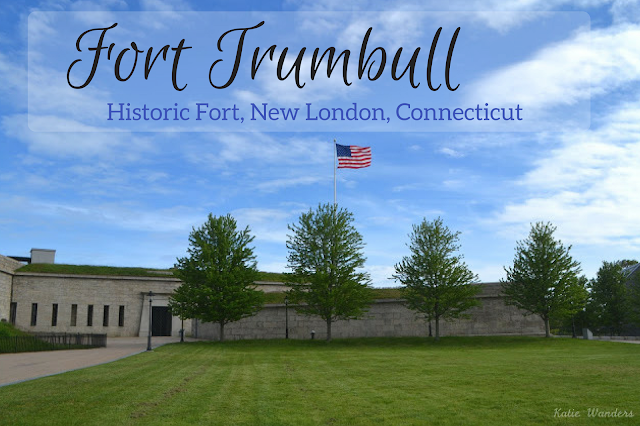 We also spend some time wandering around Connecticut, stopping at Avery Point, Fort Trumbull, Kayaking around Old Lyme, and even a day at the barn where Amanda rode Bradley. While Amanda had surely gotten a taste of New England with historic Boston and beautiful Connecticut, I really wanted her to experience some of the best parts about New England, the parts that make me swoon- the coast, the charm, the character. I wanted to do that without trekking all the way up to Acadia, Maine, or through the backwoods of Vermont/New Hampshire. 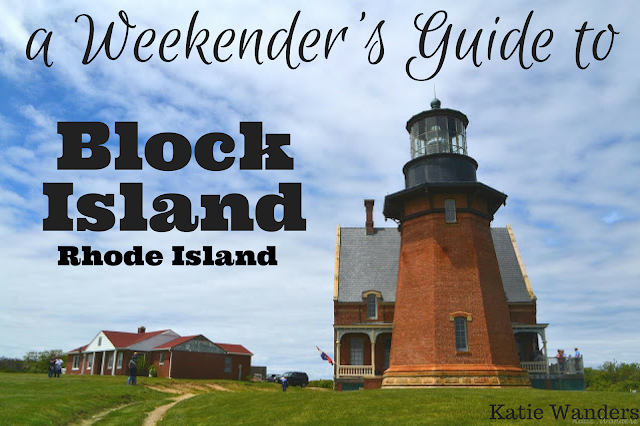 To show Amanda what I thought was some of the best of New England, I decided to take her to Block Island, Rhode Island and plan the perfect weekenders guide for a weekend of quintessential New England close enough to home. Welcome to another (late) Katie Wanders post, and this one, quite close to home. The Amanda in New England tour continued with more local history, and more historic sites in my backyard that I have NEVER been to. 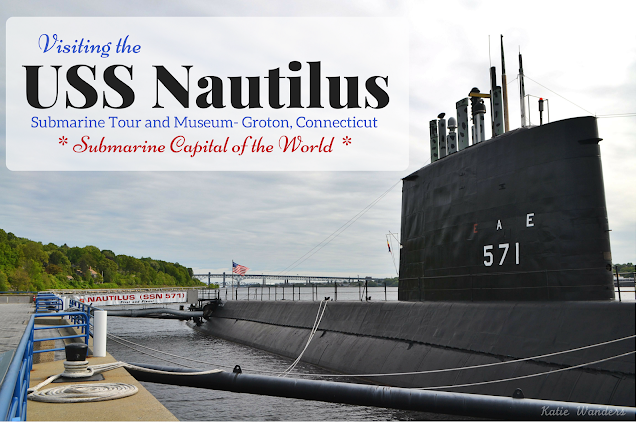 Our first stop in the history tour was a quick trip to the Submarine Force Library and Museum and a tour of the USS Nautilus. Second stop was a fort Amanda had mentioned locally. Just as I originally shrugged off the Nautilus, I responded with a "Oh yeah, those forts no one really goes to in the area? Yep". Again we went and again I was surprised at another chunk of history and a gorgeous State Park 15 minutes away. I don't know about you, but I love playing tourist in my home front. I am always amazed (and embarrassed) when people come to visit with their list of "must-see-sights" and how many of them I really haven't even been to. Mark Twain House What? Monument Where? I have lived in New England my whole life (minus my two-year stint in Utah), and lived in Connecticut for about 15 years. For years I have made the drive down I-95, crossing the Thames River to see the small black sign welcoming you to the city of Groton, announcing that you are officially in the "Submarine Capital of the World". Like any local, I never paid much attention to the sign, acknowledging that we have General Dynamics/Electric Boat, and that subs are the name of the game in this neck of the woods.